A country with unparalleled wealth, a football league with low viewing figures and overall a weird choice compared to the other bids to host the most famous international football competition. Qatar 2022? No. USA 1994. Imagine the scene, an America which had just seen off the final years of the Cold War, had helped to unify Germany, and was still feeling the effect of the Vietnamese and World Wars. In essence, the world was in tatters. But America stepped forward, and won the right to host the World Cup ahead of Brazil and Morocco. America seemed to be the logical choice? After all, FIFA aims to bring peace to the world through football, and the US could provide a perfect location to aid this development. Alongside world class stadia with high capacities and a good infrastructure already in place, it might appear that America was a safe option. However, when over 50% of the committee awarded the competition to the US, it was a huge risk to give the World Cup to a country which didn’t even have its own football league set up, and essentially the way it would be received was contentious. But, as part of the bid, it was arranged that America would have to create a football league, which would be known as Major League Soccer, or the MLS as it is commonly known, and it first kicked off in 1996 and has expanded since. In 1994, it was also clear that America stole the show for having one of the ugliest kits of all time, as the ‘denim’ kit is constantly referred to. Even today, the ’94 America shirt is infamous as being a major faux pas in the fashion-football domain. But alas, their performances on the pitch were well received, as the US made their second appearance in a World Cup since 1950, with their prior tournament 4 years earlier resulting in 3 defeats out of 3 games. Meanwhile, England failed to qualify for the tournament, with Ireland being the only home nation to represent the British Isles. The tournament as a whole saw big changes, with wins in the group stage being given as 3 points for the first time, following the Italian World Cup of 1990 which showcased negative and defensive football. Instead, FIFA wanted to focus on attacking football to attract audiences. Not only this, but the 1994 competition saw the first World Cup game to be held indoors, and also allowed referees to choose their jersey for the first time depending on the kits of the other two nations. Meanwhile, it was also the last World Cup to have 24 teams, with 32 teams having to qualify for the following tournament in 1994. Politically however, 1994 was a big tournament for Germany, who had merged to be one nation again for the first time since pre-World War Two. Oddly enough for a country which didn’t have a big push factor to football, the 1994 USA World Cup still holds the record for having the highest number of attendees throughout the competition at over 3.6 million people, despite the restructure of 1998 meaning more countries were included. Similarly, America’s displays on the pitch were spirited during 1994, but eventually went out in the second stage to the eventual winners Brazil, who managed to win the game 1-0, and lift the trophy for the fourth time after overcoming Italy in a penalty shoot-out. But America were not the only nation to overcome the expectations which were placed on them, with Sweden and Bulgaria both making it into the last four. Interestingly, Bulgaria managed to make it all the way to the semi-finals, despite failing to win a game in their five prior World Cup competitions, before losing to the Swedes in the third place play-off. 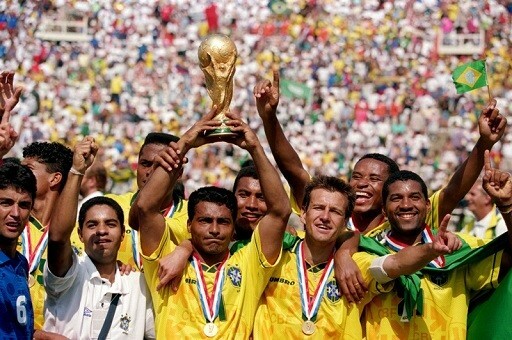 But despite the positive displays which emerged at the World Cup, the 1994 event was also marred with controversy. Firstly, this was the last time Maradona played for Argentina, where after two games into the tournament it was found that the legend had ephedrine in his system and consequently failed a drug test, which he claims was the result of his power drinks to help him lose weight. However, FIFA sent Maradona home, which eventually led to time being called on his 17-year long international career. As well as this, the 1994 World Cup is also recognised as the event which led to the murder of Andres Escobar, the captain of the Colombian football team. Before heading out to America, there was over-whelming pressure on the South American country to do well in the tournament, with Pele labeling the side who had only lost 1 out of 26 games before the tournament as clear-favourites. However, this was made harder with drug cartels and death threats constantly surrounding the Colombian team. After Escobar scored an own-goal against America, which eventually sealed Colombia to a group stage exit after losing 2-1 against the host nation, there was uproar in his home country. His murder shocked the footballing world, and broke the Colombian national team until their recent 2014 World Cup display. Overall, the World Cup in America was cited as a catalyst for football becoming a more accepted sport, with Tim Howard and Michael Bradley both previously stating how this event gripped their interest in football. Records show that the 1994 World Cup actually boosted the American economy too, and resulted in $50 million being set aside to enhance grassroots football and develop a football league. 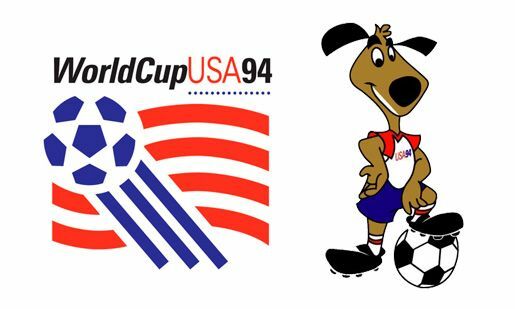 The Chairman of the World Cup Committee 1994 stated, “The development of the national team and the creation of Major League Soccer wouldn’t have happened without the World Cup. The whole sport got elevated from what was essentially a hand-to-mouth grassroots operation to a well-funded, well-run professional organisation.” It could be argued that this ethos is similarly being forced upon Qatar, and it is hopeful that the 2022 spectacle will bring similar successes for sport in the Middle Eastern region. What will Chelsea's strike force look like next season?